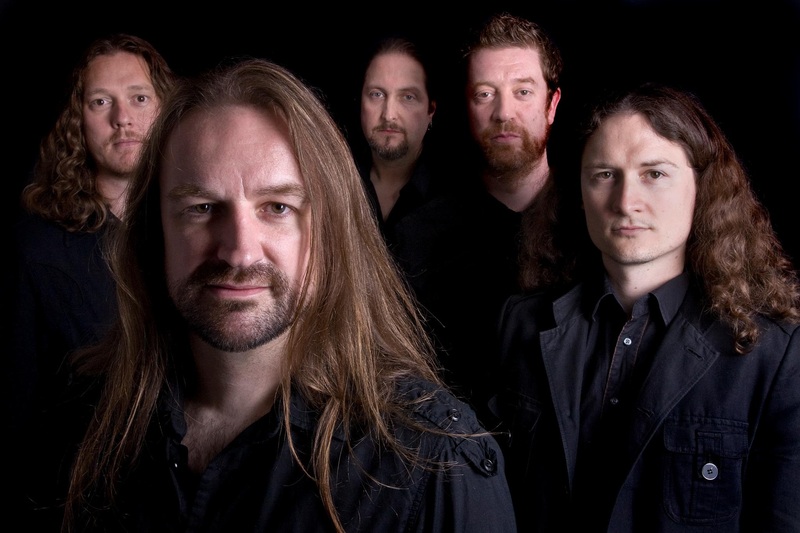 Headspace, a British progressive rock band consisting of five best friends, including keyboardist Adam Wakeman, just kicked-off a U.K. tour in support of their debut album, “I Am Anonymous.” It follows their 2006 EP “I Am….,” which was recorded just in time for the band to earn the honor of opening for Ozzy Osbourne during the European leg of Ozzy’s 2007 Black Rain tour. In a recent e-mail interview, Wakeman, son of former YES keyboardist Rick Wakeman, said Headspace is excited about performing again after spending the last five years writing and recording their full-length album. They are thrilled to be getting the chance not only to perform, but to also reconnect with one another. The Headspace line-up includes Wakeman, plus Damian Wilson on vocals, drummer Richard Brook, bassist Lee Pomeroy, and guitarist Pete Rinaldi. Wakeman said he and Rinaldi got together as often as possible to collaborate and sent the rest of the band what they worked on so they could add their parts. From there, the album continued to evolve. During the process, Wilson and Rinaldi came up with the idea for a concept album, which encourages the listener to ponder his or her relationship with humanity and the mental battles he or she endures. Wakeman said the concept can be analyzed by showing the connection with The Kübler-Ross model, commonly known as The Five Stages of Grief, a hypothesis introduced by Elisabeth Kübler-Ross’ book, On Death and Dying. As is often the case with most prog-rock bands, many of the album tracks are lengthy, as one is 15 minutes long, and at least four others hover around 10 minutes. There are eight songs on the album. Aside from their musical talents, he said Rinaldi brings clarity to a lot of situations and helps him with the business dealings for the band. Also, they have their comical sides, as well. Wakeman went on to say that some of the situations Damo gets into on tour are quite interesting, to say the least. He anticipates the remainder of their current tour to be no different. Touring with Ozzy, he said, is just as entertaining, as well as enjoyable. Another well-known musician in Wakeman’s life is, of course, his father. Having a highly talented keyboardist/composer like Rick Wakeman as a dad has put a bit of pressure on him, yet, he has developed his own notoriety through the years. He also said he father was and continues to be a huge inspiration. For Wakeman, he’s just grateful to be a musician. He said he loves being able to jump from one project to another so he never gets bored. “I recently finished a film score for a British indie film called “Nothing Man” and then went straight on tour with Ozzy and Friends for the summer,” he said. “Then it was lots of press for the Headspace shows and album, and a recording session with a singer/writer from Nashville. To learn more about Headspace or find out how to purchase their music, visit headspaceonline.com.